I understand your concerns about HB 2. Reasonable people can disagree about these sensitive issues. Recently, the Obama administration, through the U.S. Department of Justice (DOJ), filed a complaint against the state of North Carolina. This federal intrusion into what was essentially a state concern, using a novel interpretation of the language of Title IX of the Civil Rights Act of 1972 and the Education Amendments of 1972, was un unnecessary escalation of a conflict that I am confident the good people of North Carolina can resolve amicably. Beyond this recent DOJ action on the matter, HB 2 is a state law, and I am no longer serving in the state legislature. 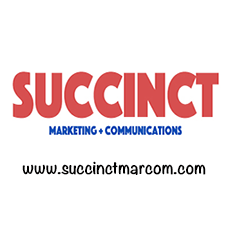 I would recommend that you contact your State Senator and State Representatives and share your concerns with them. Freeze frame for a moment. This is why we lose. There is an enduring imbalance in American politics and it has only gotten worse in recent years. Whereas Democrats delegitimize even the most common sense conservative policy initiatives, Republicans legitimize the most insane, odious and preposterous ideas of the Left. “Reasonable people can disagree.” What? “A novel interpretation of the language of Title IX.” Say again? Yes, that men are women is quite novel, but reasonable people can disagree, according to Tillis. More broadly, how can Tillis suggest that he will wash his hands of HB2 because it’s a state issue? Yes, that’s the point. It was a state issue until the two unelected branches of the federal government (DOJ and Fourth Circuit Court of Appeals) made it a federal issue. Why won’t the representatives from North Carolina in the elected branch of the federal government help return the issue to the states? Moreover, eradicating gender differences is neither a state nor a federal issue; it is reflective of mental illness and de-civilization. It’s also important to remember that once the Obama administration sent out the letter demanding unisex accommodations in all 50 states, this is no longer “a state issue.” Coupled with Obama’s other edict barring public universities from inquiring into criminal records of prospective students, colleges are now particularly unsafe for young women in all states. There you have it. Another red state has two Republican senators who are unwilling to stand up to the most destructive policy imaginable. Tillis was just elected after running as a solid conservative who was going to stand up to Obama’s heavy-handed lawlessness. This is what is going to continue happening unless conservatives begin changing election laws in the red states and choose party nominees via representative conventions instead of popular primaries. But fear not, we don’t need a Republican Party on a congressional level because we have an unparalleled, aggressive, and efficacious voice as our party’s nominee for president who will finally put an end to this politically correct insanity. Oh wait…. 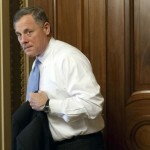 Burr and Tillis are Obama enablers. Jesse Helms would have never put up with this nonsense from the Obama regime. 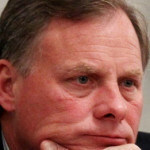 But then, I guess it figures that Burr and Tillis, who both voted to move the confirmation of radical Loretta Lynch as Attorney General forward by voting for the key cloture vote, would also not stand in the way of Lynch’s and Obama’s radical positions on this issue. This disgusted pair of Obama Republicans need to go. And just the other day, when Senator Mike Lee attempted to strip language out of the National Defense Appropriations bill that would mandate a military draft for women and also push them into combat arms units, guess which Republican voted against? Hint: His name starts with “Th”. Dofstoyevski said it best. When you remove God, all things are possible. We are merely seeing the end game of Madlyn OHair’s demand to remove prayer from public places and institutions, as people grow up secularized, desensitized and without any sense of right and wrong. The world famed Christian Apologist, Dr Ravi Zacharias warned that the greatest threat to world stability today talked about by leaders, is CORRUPTION! How then do we return to what works every time it is tried? We need a passionate, fearless stand against the forces of wickedness and place Christ, the Son of God back in our nation’s schools and government. Psalm 127 v 1,2 works! Ravi Zacharias is wonderful, one of my favorite expositors of all time. He is 100% right about corruption, but you are misapplying the lesson. You mean well, but what you are actually asking for is a government that plays god, that stands in the place of God, and does the things that men and women ought to go to God to have done. Like marriage. It is not mere coincidence that every time we pass one of these laws, everything quickly gets a lot worse. I explained this on the floor of the House in 2011, and people were not ready to hear it. When you have a government take the place of God, then God will remove Himself from that area along with all the protections He was previously providing. Our lack of faith in God to handle marriage spurred us to ask the government to do God’s job for Him, thus God was driven out of marriage and we started recognizing gay marriage as a State. I am not saying there is no right solution. I offered the right solution back in 2011, one that would have legitimately protected traditional marriage, and I was hated all the more for it. Then in 2013 through today, the most Republican States in the Union started offering the same solution I advised in 2011…with much less effect due to being so late. Remove government from the place of God and return marriage to God, by prohibiting the practice of licensing marriages in the State. And now, we are doing it again, and falling into the same trap again. We’ve remembered to render unto Caesar what is Caesar’s, but we have forgotten to render unto God what is God’s. HAVE FAITH IN GOD to leave the things of God to Him, and He will bless our faith. It is our very LACK of faith in God, demonstrated by our need to make government do the things that belong to God, that makes God retreat from the very area we think we are trying to protect. It is the same error as the Pharisees who thought to proactively enforce God’s will and through corruption became His greatest enemies. You can’t put a person into the place of God and expect it to work out well in the end. You can’t put governments into the place of God and expect it to work out well in the end. We have to give God back the things that belong to Him, and He will reward our faith by returning to bless those things as He did before we became lost in this madness. It is this very desire to enforce God at the point of a government gun that LEADS TO this heathen madness in the first place. God’s Kingdom is not of this world. God does not use the weapons of this world to exert His will. God’s Kingdom is higher…and inordinately more powerful. If you want to see God bless marriage, then take marriage out of the hands of corrupt governments and return it wholly to God, and God will bless traditional marriage more powerfully than you can possibly imagine, to secure it for as long as we give God His due. You all who want to pass all these laws to enforce the things that ONLY GOD can do, do not understand what you are doing. Yes, you do mean well, I get that and I am not angry I am just sad, because not understanding the fundamental problem, you are actually _creating the very horrors you seek to prevent. I said in September of 2011, that had we left the question alone it would have been 10 to 15 years before gay marriage was law, but if we pass the Amendment it will happen in less than five. I also offered a means to prevent its rise forever. Literally forever. Very few people have the faith to accept that rendering back to God the things that are God’s will restore His blessing to the things that governments now control. I understand that. The vast majority of churches in America now worship government above God as evidenced by their voluntary submission to 501(c) tax status, giving power to government to regulate speech from their pulpit, so it makes sense. 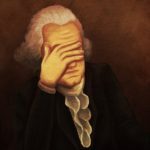 The American Church is overbrimming with idolaters of the state, so it makes sense that people will get offended when we suggest that the solution is actually removing the state from out of the affairs of God. Nevertheless, offended or not, that is the only solution that will ultimately work: Return to faith in God to govern the things of God, and God will bless the things we give back to Him, or continue to assert government as the arbiter of God’s will, and watch as the damage accelerates as God removes His blessing over those areas where we assert government in His stead. That is the beginning, middle, and end of this crisis. There are two huge issues here. The first is an authoritarian regime in Washington trying to force states and local governments to allow grown men into bathrooms and shower rooms with little girls. Tillis and Burr apparently have no problem with that abomination. The second is an authoritarian regime in Washington threatening to cut off many millions of dollars to the schools of North Carolina and other services in North Carolina to bully us to knuckle under to their extremely radical demands. 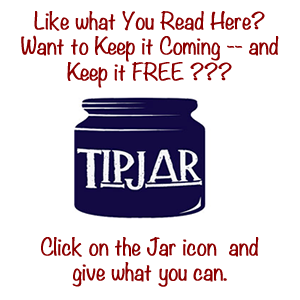 Burr and TIllis refuse to lift a finger to try to save NC from that threat of cutting off of funds. 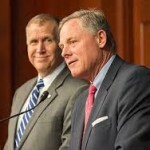 Burr and Tillis are completely useless as they sit on their hands and watch their state and their constituents get royally screwed by the tyrant Obama. Why should any conservative even think about voting for Burr or Tillis when they utterly betray us in this manner? They are no better than Obama himself. “Reasonable people can disagree” REALLY??? Is there anyone here who STILL believes we should leave the 17th amendment as is??? I suggest repeal of the 17th amendment – RETURNING us to the practice of LEGISLATURES appointing our Senators, and REMOVING THEM IMMEDIATELY when they no longer represent the values of the State – should be a prime target for the coming Article V Convention of States. 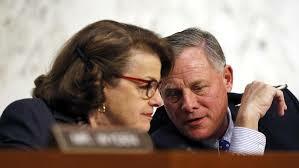 Burr & Tillis should recognize the LGBT community are not going to vote for them no matter what they say, get over it(! ), they will support the the wackiest candidate they can find. Politics is the art of who gets what, when & where, i.e. the art of war! 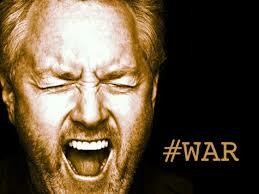 You need to stand up & do battle for the state on the issue of men in women’s bathrooms. This is an issue that should not be that difficult to portray as radically contrary to all cultural & historical behaviors in the growth of civilizations. There is an old saying in politics that Burr and Tillis have apparently never heard of that ”you do not [urinate] on your base”. 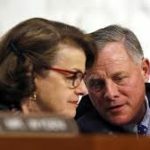 Burr and Tillis are not only urinating on the GOP base, but defecating on them as well. That is not going to turn out well. Elizabeth Dole did not stray nearly as far off of the reservation as Burr and Tillis have, and look what happened to her. I agree, 100%….but at the same time people have also gotten, well, crazier over time; so I am not so sure that principle is as powerful as it was in 2008. Now we have a Congress in single digit approval ratings and something like 96% reelection rates. It’s not all only always about logic. There is a madness about that has been growing for as long as politics has tried to stifle political will, and now it appears to be coming to a head. I don’t actually believe that logic can predict what is coming anymore, just that it will be emotionally driven, rage inspired, and have the outward appearance of randomness while actually making sense within the fantasy universe of those who have already been driven insane by it. Amen on repeal of the 17th amendment!!!!!! Be careful what you wish for….without direct election for senate we never would have had Jesse Helms or John East. 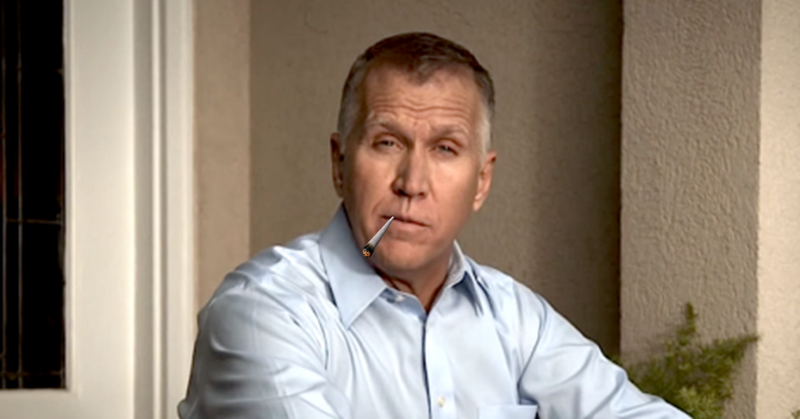 Heck, remember where Tillis came from. Any senator appointed by the NCLEG would a few years ago would have had his direct approval. We DO have a means of recall…just do not vote for Burr. NC sent a powerful message when Dole was senator…we ended up with Hagen. Then they sent a message and we ended up with Tillis. 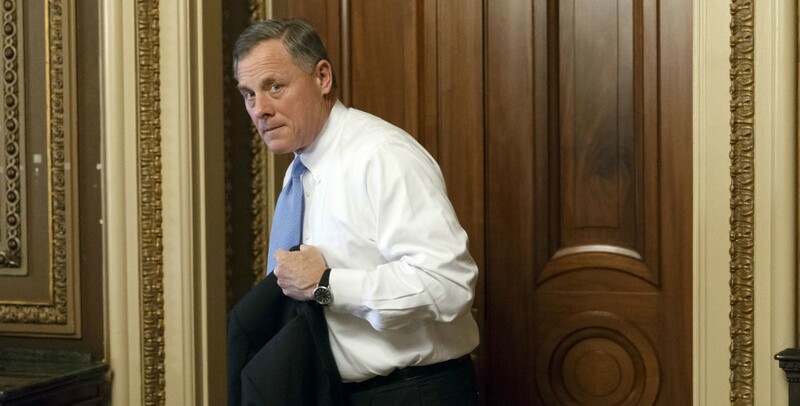 Now we are royally messed up.Burr and Tillis are two RINOS who will inevitably vote AGAINST the will of the voters. AT least with a Democrat you know what you are getting. 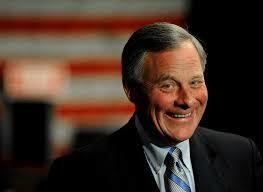 Personally, I would not vote for Burr for dog catcher, much less Senator! He is usless to the people of NC. We DO have a means of recall…just do not vote for Burr. NC sent a powerful message when Dole was senator…we ended up with Hagen. Then they sent a message and we ended up with Tillis. 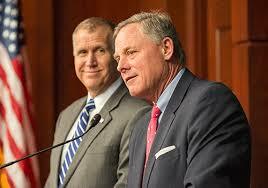 Now we are royally messed up.Burr and Tillis are two RINOS who will inevitably vote AGAINST the will of the voters. AT least with a Democrat you know what you are getting. 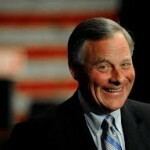 Personally, I would not vote for Burr for dog catcher, much less Senator! He is useless to the people of NC. I do not see how we can get less representation from a Democrat. ” I am sure the good people of NC can solve amicably”. At least, but I have figured out a better way to do it. Step 1: a resolution of concern over Article 6 pursuance is brought and passed in both chambers seeking a joint-session hearing evidence as to whether or not a federal action is in pursuance of the COnstitution per the Article 6 Supremacy Clause. Step 2: If a majority of the joint session pursuance hearing determines that the federal law or action is NOT pursuant to Article 6, it is handed to a Joint Nullification Committee to determine remedy. Step 3: This remedy is produced by the Committee as a bill, passing both Chambers and signed by the Governor, it empowers the Governor to act in defiance of the unconstitutional act, and establishes the basic parameters for that noncompliance. Nothing beats a failure but a try. Can we get a sponser to further Gleen Bradleys suggestion? NC better get tough. The grasp of the ISMS is around the jugular of America, not to include FREE MARKET CAPITALISM. It is the target. There are a few legislators willing to submit acts of nullification now, the most senior nullification friendly Member of the House was probably Brian Holloway, but he just resigned. Best bets are probably Bert Jones, Michael Speciale, Larry Pittman, _maybe Jason Saine…. Mike Hagar actually has his moments, but I do not know where he stands on this. In high leadership, so if he’s brought on board it greases the wheels a lot. That’s why I said “maybe,” Not a fan, but remembering some of his claims of support. I just think it’s hilarious that McCrory has conned the evangelicals and fundies into thinking that he’s conservative just by getting behind a discriminatory and bigoted bill. How many times are you people going to be fooled by this con game of using bigotry and hatred of others to rally you behind a Progressive candidate like McCrory? Despise Burr and Tillis for their cronyism and support of Progressive plans like Public Private Partnerships (the I-77 toll lane for example), but don’t despise them for not getting behind a bill that keeps people from using state courts when they are discriminated against. You don’t get it, do you. The Gaystapo has a well established history of using the courts, and in some states the bureaucracy, to go after Christian small businesses like bakers, photographers, and florists who refuse to participate through their services in homosexual weddings. The courts are being used to harass and bully small businesses, and our state is very correctly protecting our small businesses from these homosexual haters of Christians. Hooray for our legislature! Correct, has nothing to do with social values and everything to do with defending the First Amendment. The Evangelicals are not oblivious to the fact that they are a target.